These days, Hollywood has a reputation for being politically liberal. But you’d be surprised how many conservatives there are in Hollywood. Or, maybe you wouldn’t, if you remember that Hollywood is just like any other major industry in the US. But what about the secret Republicans of the 1950s? You can probably name a few Hollywood conservatives of midcentury like John Wayne, Jimmy Stewart or Gary Cooper. But I recently came across an interesting document that shows who in Hollywood contributed money to the presidential campaign of Dwight Eisenhower and Richard Nixon in 1952. And a few might surprise you. This past summer I went to the Warner Bros. archive at the University of Southern-California to do some research on my long term project examining all the movies that the US presidents have watched while in office. When I was there, I came across some fascinating documents in a file from studio head Jack Warner. Warner was a Republican and helped organize all kinds of fundraising events in Hollywood for conservatives causes. One of the documents in particular caught my eye. Dated November 29, 1952, the document is a simple tally of who in Hollywood gave money to a group called the Entertainment Industry Joint Committee For Eisenhower-Nixon. Since it was after the election (which Eisenhower won, of course) this was probably a document simply kept for tax purposes. A very abbreviated list of contributors, compiled from the 200 or so on the full list, appears below. For a bit of reference, $1,000 in 1952 roughly translates to $9,100 today when adjusted for inflation. Even if you somehow knew that every single person on this list was a Republican (and I certainly didn’t), it’s still interesting to see the difference in how much people gave. Samuel Goldwyn, for instance, was a big spender who donated $5,000. Noted conservative Bob Hope was a bit more stingy. He donated just $20 to help Ike get elected. Do you spot any contributors that you didn’t know were Republicans? Does anything else surprise you from this list? John Ford, donated $250 — director known for Westerns like The Searchers (1956) with John Wayne and The Man Who Shot Liberty Valance (1962) with Jimmy Stewart. 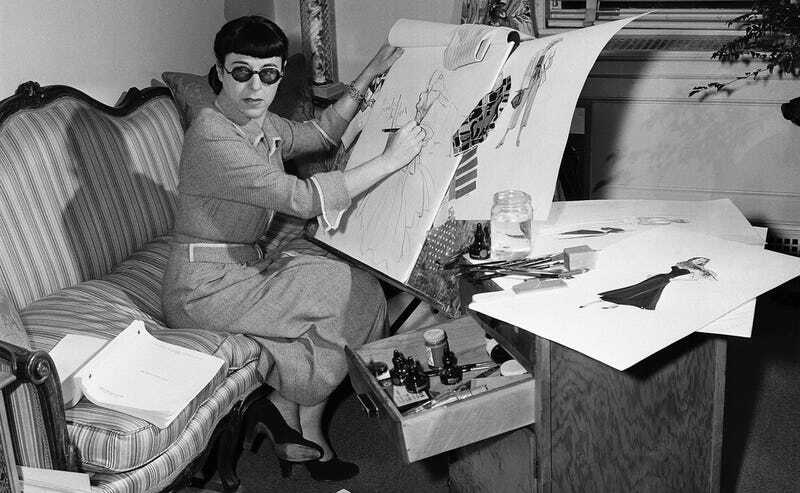 Edith Head, donated $10 — costume designer of the 1940s and 50s who worked on everything from Double Indemnity (1944) to Roman Holiday (1954). She was also famous for her work with Alfred Hitchcock. Jack Warner, donated $5,000 — studio executive, founder of Warner Bros.